Length: 4 hrs. 36 min. Have you been told you can have it all, only to end up exhausted and occasionally out of sorts with the people you love? Are you ready for a new way of seeing your time? Learn to live a little more simply. 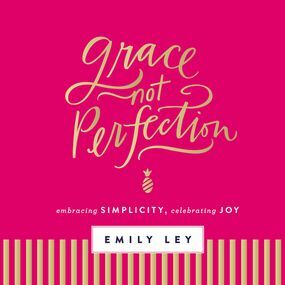 Hold yourself and those you love to a more life-giving standard in Grace Not Perfection,and allow that grace to seep into into your days, your family, and your heart.